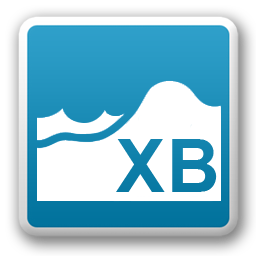 XBeach, the open-source nearshore morphodynamic software, developed by IHE Delft, Deltares and TU Delft, was presented for the first time 10 years ago. This anniversary is celebrated with a free user conference on XBeach model development and application on the world’s coasts (as well as on morphodynamic modelling in general) during the Delft Software Days at Deltares in Delft from Wednesday 1 November – Friday 3 November. Register and more info at the XbeachX page! Research in recent decades has demonstrated that the change of sea level is far from uniform around the globe. Even within a relatively small coastal area like the Netherlands, notable differences are found in the rise of sea level, which are still partly unexplained. We will organise a NCK theme day on this topic on 28 September in Leiden, where we'll bring together researchers from various universities and institutes to provide a comprehensive overview of the state-of-the-art knowledge on regional sea level change and to identify lacunae in our understanding. Interested? View programme and details! Registration is closed.